Peterborough United chairman Darragh MacAnthony was 'raging' after watching Posh Youths. Posh chairman Darragh MacAnthony let off steam on Twitter last night (November 16) after watching the Under 18 side bow out of the FA Youth Cup. Jack Collison’s side lost 3-1 in the second round of the competition at Oxford City and MacAnthony was not impressed. He wrote on Twitter: “I’m absolutely raging after watching our Under 18s lose that cup game. Well done Oxford City but we should been five up by half-time. We capitulated in the second half. 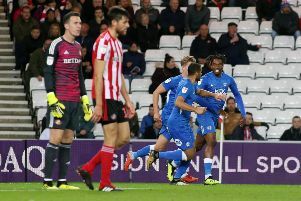 Posh led early on through 16 year-old Jack Gurney, but three goals after the interval gave City their seventh win in the competition and set up a third round trip to Gillingham. Posh: Elsom, Freestone, Jarvis, Goode, Connor, Alban-Jones (sub Shackleton 79min), Gurney, Gow (sub Stump 66min), Penfold, Barker, Douglas. Unused subs: Cartwright, Hart, Borg.